On March 6th, every year, for as long as can be remembered, thousands of Prince Hall Masons, Eastern Stars and Prince Hall Affiliation members around the world fly their banners and post hearty images of pride to celebrate what is called “Founders’ Day” for Prince Hall Freemasonry. March 6th, 1775 is the day the “Immortal 15” were raised as Master Masons in Irish Military Lodge No. 441 in Boston, Massachusetts. Brother Hairston fully understands the delicate ground he treads, but he is a tireless and extraordinarily detailed and dedicated researcher. 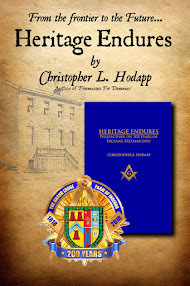 For his book, he has searched primary and secondary source material, including microfilm records of African Lodge No. 459, documents in possession of the United Grand Lodge of England, the Grand Lodges of Ireland and Massachusetts, military regimental rosters, troop movement records, and much more, to determine who was where, and when they were there. He has uncovered the odd career of Sgt. John Batt, who is at the center of the story of making Hall and his friends Masons in the first place, and the so-called "permit" he gave them to bury their dead and march in processions as members of the fraternity. And he has tracked down the recorded movements, activities and membership records of Military Lodge No. 441, of which Batt has long been presumed to be Master. While these records have all existed for more than two centuries, John has assembled all of them together in one place for the first time and answered questions that many earlier researchers have simply glossed over or just plain ignored. With this single book, he has assigned facts to the legend that has been passed down repeatedly by generations, and provided the written record for all to examine. 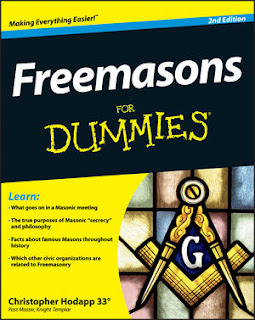 Anyone who is even remotely interested in researching the history of Prince Hall the man and the Masonry that sprung from his undertakings needs to own this volume. When will be book ship?